Slash your power bills and potentially pay nothing for LED installation thanks to this NSW Government scheme. Long-lasting LED lighting from Esena can save 80% of your lighting costs. We’ll be in touch within 24 hours to discuss your needs and arrange a time for a consultation. We promise to never sell or spam your email address. Savings of up to 80% of lighting costs. 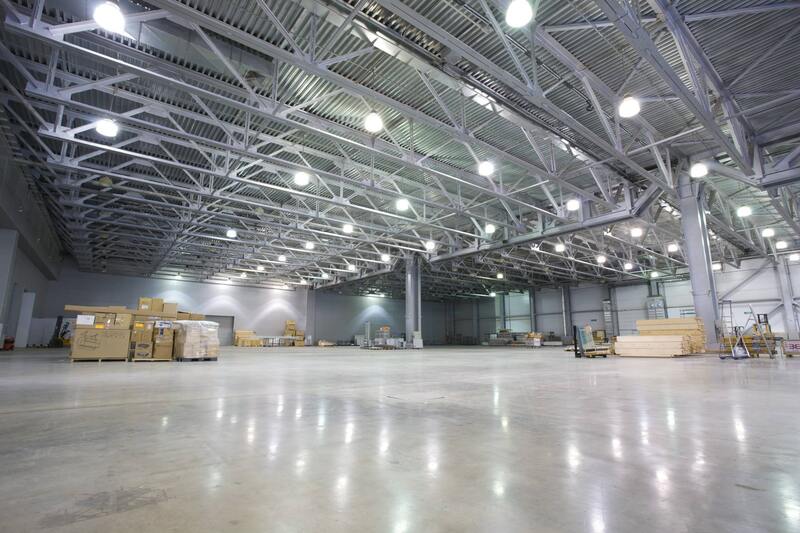 Eliminate your lighting maintenance costs because LED lighting can last over 50,000 hours. No more expensive tradespeople just to keep the lights working. Lighting output is much better for longer. Our clients have reported improved product sales, better staff productivity and happier staff and customers. Government rebates in SA, NSW and Vic can cover anywhere from 30% of the cost to being completely FREE. Fast ROI’s mean you get your money back in electricity savings anywhere from 6 months and onwards. Cooler running of the building as LED lights run much cooler than inefficient lighting, meaning you also save on air-conditioning costs. Esena Energy is a leading commercial energy efficiency company and we partner with our clients for the long term providing ongoing system performance monitoring, latest technology, training, servicing and investment verification. We only use best of class products which are designed to outlast the toughest conditions. We help you make the best investment once and only once, as we steer clear of second or low rate and low-cost products. We have access to a broad range of different rebates which many others don’t. There are many different state based and federal rebate programs and where a government offers rebates, we offer them straight to our clients. We offer a full turnkey solution so that you can focus on your business and we can focus on getting your return on investment as soon as possible. Our installation team will coordinate all technical approvals and all government rebates managing the process from start to finish. We’re working together to get the best solution for your business so we will meet with you and get to know your business, your needs and ultimate goals. We love data! We’ll hassle your electricity providers to supply us the data of how and when you use your electricity so that we can design the best solution for you to get you the best return on investment and the best performing solution. Once our in-house experts have finished their evaluations and designed the ultimate power saving solution for you, it’s time to present you our work with all the cool graphs and investment figures that will put the power in your hands. Prior to installation, our head technician will arrange a final site inspection to prepare an installation plan ensuring the installation goes as smooth as possible. Our team will manage all of the approvals needed from the different industry stakeholders and schedule in the installation. The timeframe and site access will be arranged with you in our installation plan. The best part of the process starts here. Once your solution has been commissioned you start enjoying the savings and we ensure your savings meet our projections through site monitoring and maintenance plans. Or fill in your details in our form and we'll be in contact within 24 hours. If you're tired of paying high energy bills, then get a Free LED lighting assessment today!